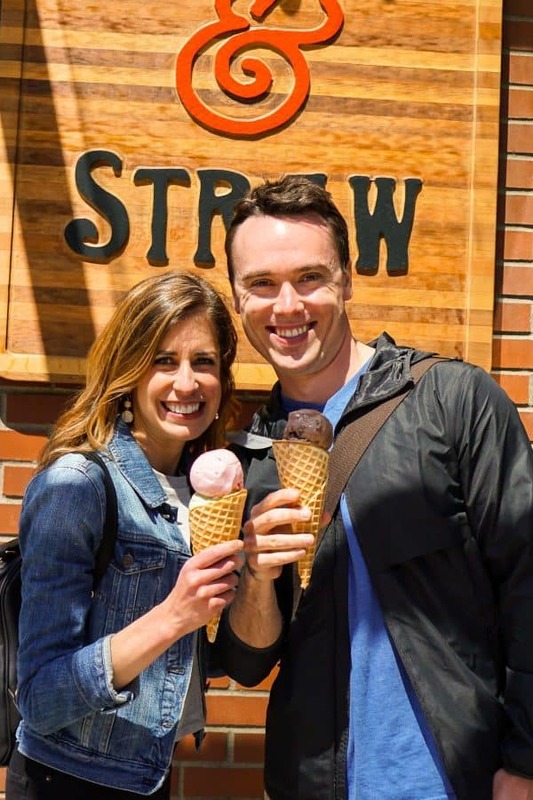 Ben and I spent a long weekend crossing off one of the top-destinations on our foodie bucket list: SEATTLE! 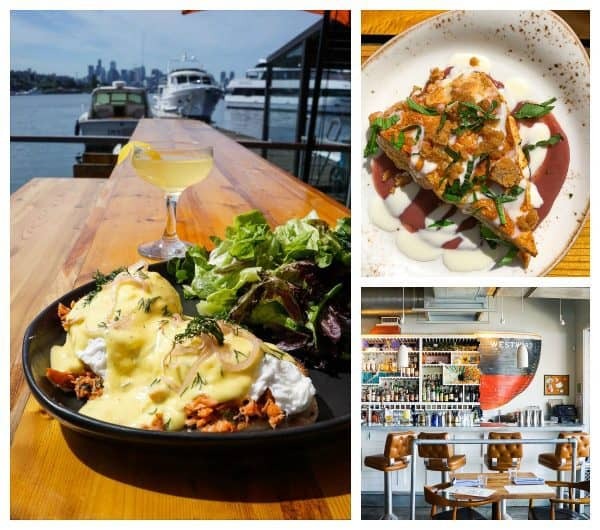 Not only did the city captivate me with its water views, laid-back culture, and sense of cutting-edge progress, the food scene is one of the best of any city I’ve visited. If you’ve been reading this blog for a while or follow me on Instagram, you know that is no light statement. I’ve had the privilege to eat my way through many a city, and Seattle is one of my favorites to date. 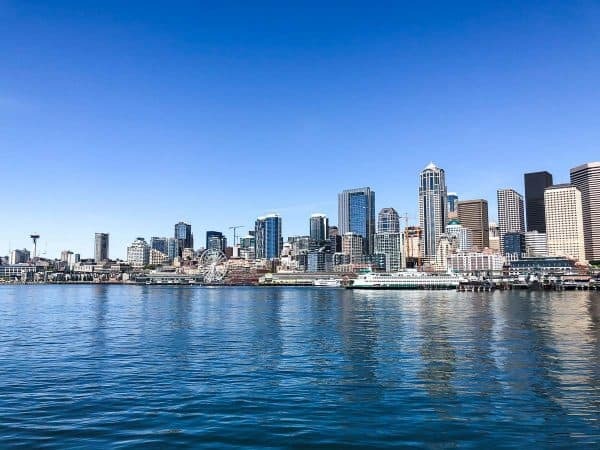 In between meals (despite what the hefty list of Seattle restaurants we packed into 72 hours suggests, we weren’t eating 100% of the time), Seattle also offers a fantastic selection activities for a wide range of ages and interests. 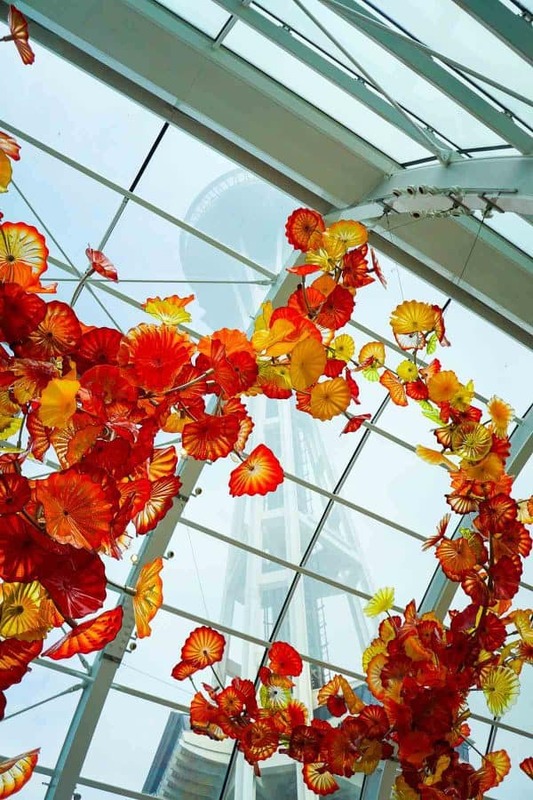 Whether you are planning your own trip to Seattle (lucky you! ), considering it for an upcoming long weekend (DO IT! ), or just want to relive the adventure with me, this Seattle Travel Guide is here to show you the best of the city. From where to eat, to what to do, to where to stay, I have you covered! 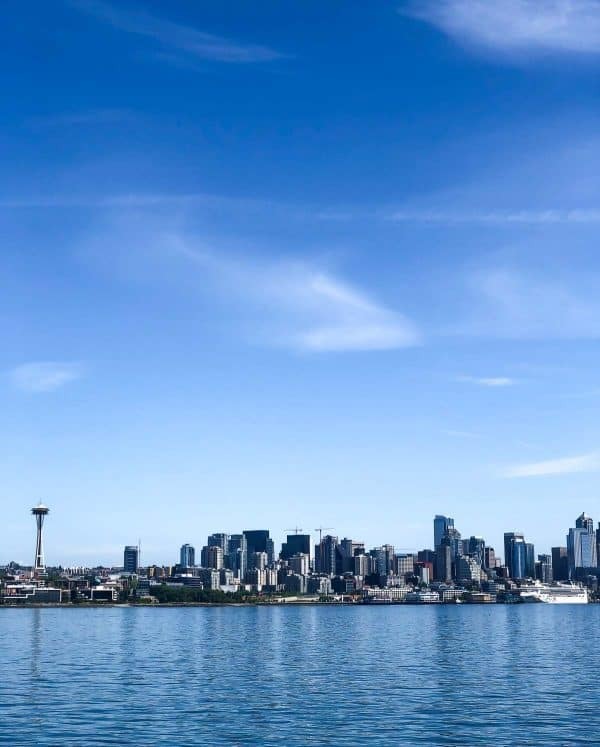 Seattle Travel Guide: What to Do, Where to Stay, and Where to EAT! 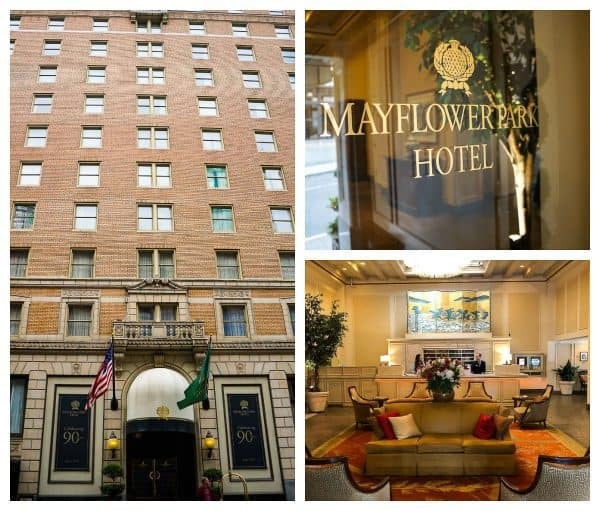 We stayed at the Mayflower Park Hotel based on my sister’s recommendation, and I’m so glad we did. Its location is ideal. 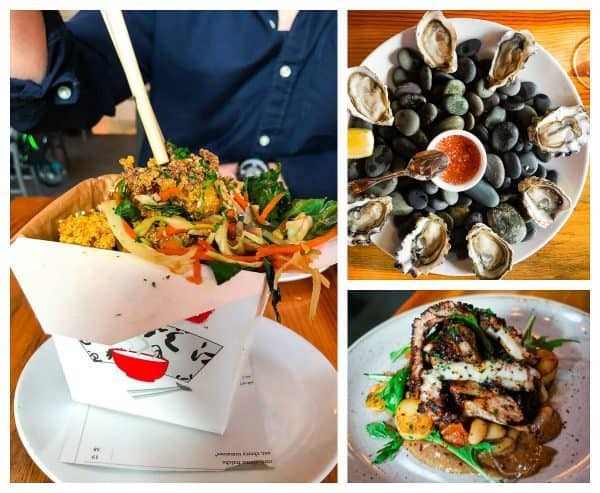 We were less than a 10-minute walk from the Pike Place Market, a 15-minute walk from Pioneer Square, and an easy Uber ride from many of Seattles other top neighborhoods, including Ballard and Queen Ann. The staff was incredibly friendly, and the hotel itself has a rich history. It’s celebrating 90 years, and while the building had plenty of modern comforts and upgrades, it maintained its classic beauty. If you are looking to dine, the hotel is home to Andaluca Restaurant. We weren’t able to fit it in on this trip (so many food options, so little time! ), but it looked absolutely charming and has excellent reviews online. a.k.a. why you are probably reading this post. After exhaustive research, chatting with local friends, and partnering with Visit Seattle, we came up with a list of serious hits. Every spot we tried was both delectable and memorable. Goldfinch Tavern: This is where we chose to spend our final evening in Seattle, and I cannot imagine a more perfect choice. 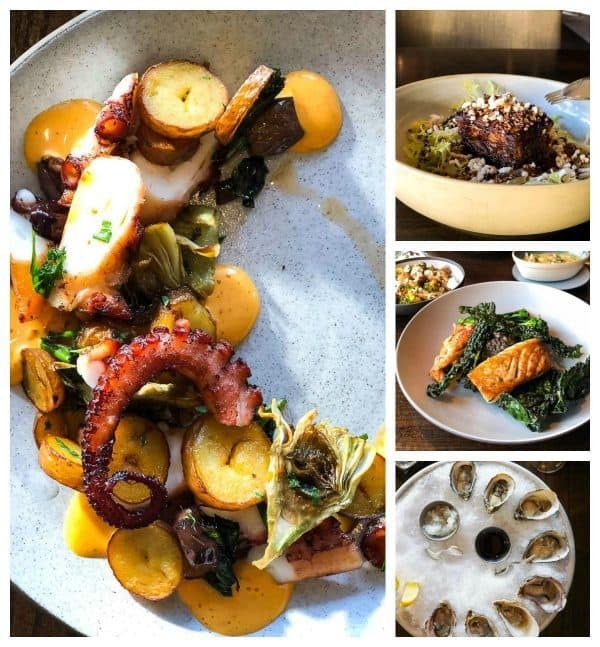 Located in the Four Seasons hotel and captained by celebrated Seattle chef Ethan Stowell, Goldfinch elevates the best of local seafood and produce into something sublime. Everything from the food, to the wine, to the service were exceptional. Not-to-miss dishes: Dungeness crab and beet salad; halibut and king crab; crispy cauliflower; pork belly. To drink: house-smoked manhattan; a glass (or three) from the stellar wine selection. 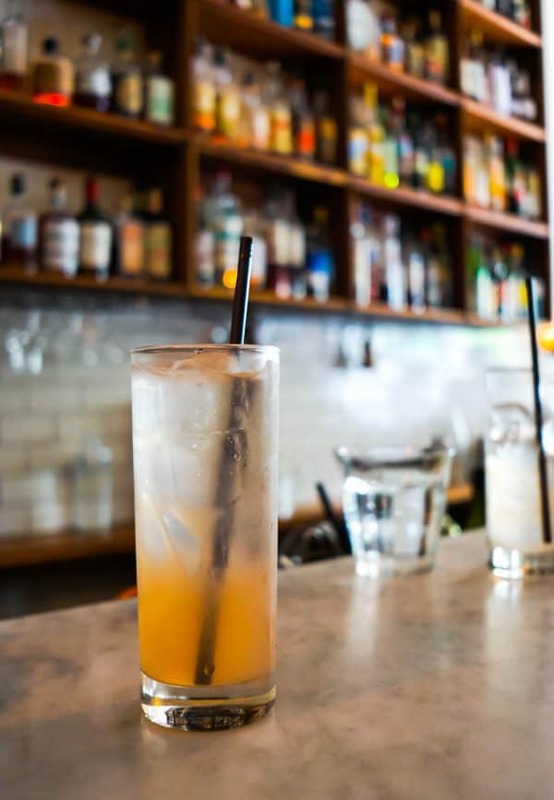 Rockcreek Seattle: When you walk in, the vibe feels hip, lively, and casual. The food, however, is anything but ordinary. Not a thing we ordered didn’t impress. Not-to-miss dishes: take out-style calamari, the cod (incredible flavor! ), and the octopus (melt-in-your-mouth tender! I’m actually still dreaming about it). 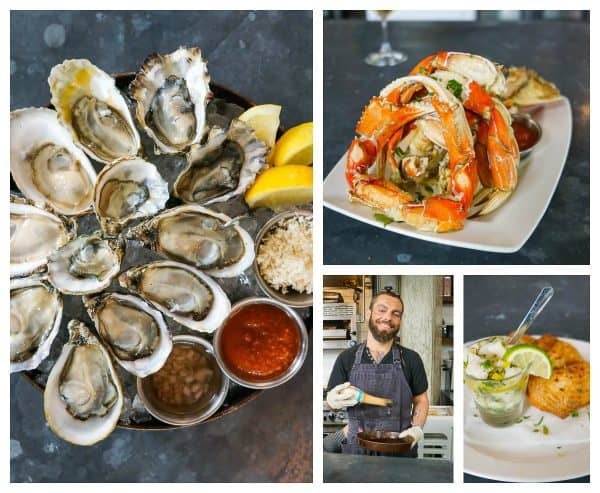 Taylor Shellfish Oyster Bar: Between rounds of oysters, whole Dungeness crab (dipped in a sauce made of the crab butter itself!! ), and Guoduck (don’t ask; just order), we chatted on and on with the staff about Taylor’s sustainable practices. I learned so much about the importance of shellfish and seafood farming sustainability. With seafood, as with any other protein or produce we consume, it’s so important to know the farmer. Taylor’s has earned its quality reputation. Not-to-miss dishes: Whole Dungess crab; the entire oyster menu. If you need some greens at this point in your trip (I did), their house arugula salad is lovely too. To drink: whichever wine the bartender recommends with your seafood. Ben and I swapped sips and loved each of our wines for different reasons. Westward: With a prime location right the harbor, Westward could probably serve mediocre food and get by on the view. Instead, they serve one of my favorite brunches I have ever eaten, with cocktails to match. The wood oven giagnte beans are mandatory. Next time we are in town, I’d love to return for dinner. Not-to-miss dishes: The pastry of the day (we split a lift-changing scone with rhubarb crumble topping, rhubarb compote, and creme fraiche); wood oven baked gigante beans; smoked fish Benedict. To drink: the parasol cocktail. 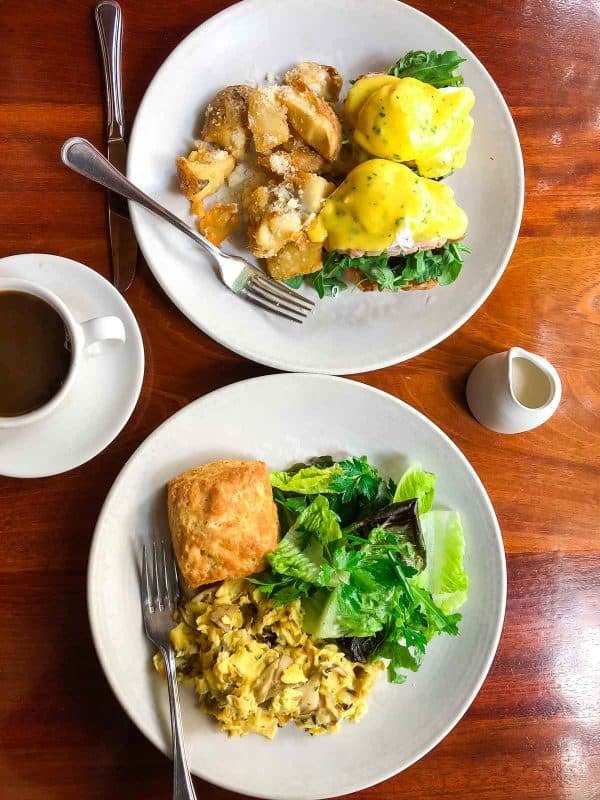 Dahlia Lounge & Dahlia Bakery: Dahlia Lounge was the first of James Beard Award-winning chef Tom Douglas’ restaurants and is considered the flagship of his now 12+ Seattle dining experiences. We went for a lovely brunch, then popped next door to Dahlia Bakery for one of the best croissants I’ve had outside of France. Not-to-miss dishes: scramble of the day (oyster mushrooms with truffle cheese when we visited! ); house croissant, warmed up and smeared with house-made jam. The London Plane: Hipsters, this is the spot for you. The decor is right out of Instagram, from fresh peonies to the most adorable mini blooms tucked inside tiny tabletop vases. Not-to-miss-dishes: Unfortunately, the kitchen had run short on several entrees when we visited, but I did try their housemade “Plane Bread,” which is wonderful. To drink: fresh-squeezed grapefruit mimosa. Essex: Go, go, GO! to Essex and plan to drink at least two cocktails, along with some nibbles. Pro-tip: Get the large order of burrata. If you order the small, you’ll end up needing to order a second small…and not because it’s small (don’t ask me how I know). Delancey: LEGIT wood-oven pizza, located just next door to Essex. They don’t take reservations, so the right move is to put your name in for a table, then grab a drink next door at Essex while you wait. Perfect Seattle night! Not-to-miss-dish: ANY of the pizzas. Seriously. We tried three and I could not settle on a favorite. Estates Wine Room: An hour tasting here melted into a magical afternoon spent sipping Washington and Oregon wines. I highly recommend picking two different of the themed flights (steal sips of your partner’s so you can try double the variety), then stay and order a cheese plate and a glass of whichever wine was your favorite. Located right on Pioneer Square, it’s the perfect place to rest and enjoy the good things in life. To-drink: ALL OF THEM. 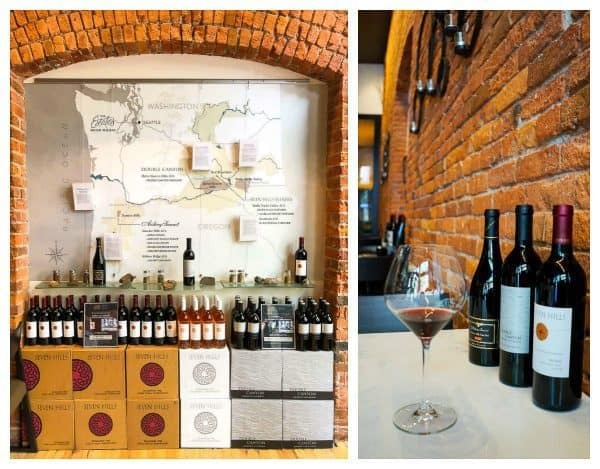 The staff is friendly, informative, and while I had a few favorite wines (including a luxurious Pinot Noir and lively sparkling rose), I truly would have been happy with a glass of any we sampled. For Dessert. All Night. Every Night. Salt & Straw: We are in my “last meal” territory here. I consider myself an ice cream aficionado, and Salt & Straw is my favorite I’ve had in any city. I tried it in Portland and have been craving it since. Ben and I tasted all SIXTEEN flavors (yes, we did), and still both ordered a double scoop at the end. It is that good. 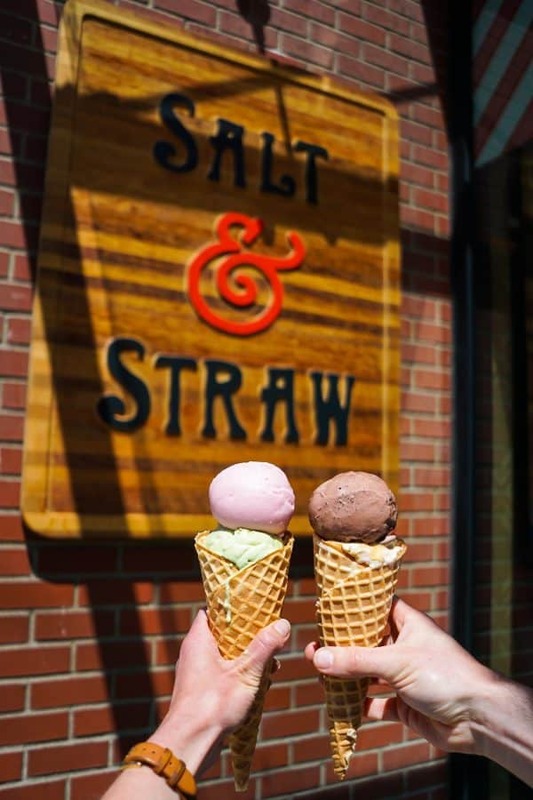 In addition to a list of classic flavors that never leave the menu, Salt & Straw also has a series of new flavors single month. The flavors and pairings are creative and make use of local products. Honestly every single flavor is good, even the ones that sounds unusual. Dare to try them. You’ll be delighted. Not-to-miss dishes: sample a few, then get a double scoop of two different flavors (or better yet, a flight of four!). Sea salt caramel, almond brittle, and honey lavender are must-try classics. I also loved the more adventurous raspberry ginger beer, yogurt and matcha, and ricotta with walnut lace cookies. Space Needle: The iconic Seattle experience. The entire observation deck is being redone for even better views. We were there for its soft opening, and I’d love to see it again once it’s complete. 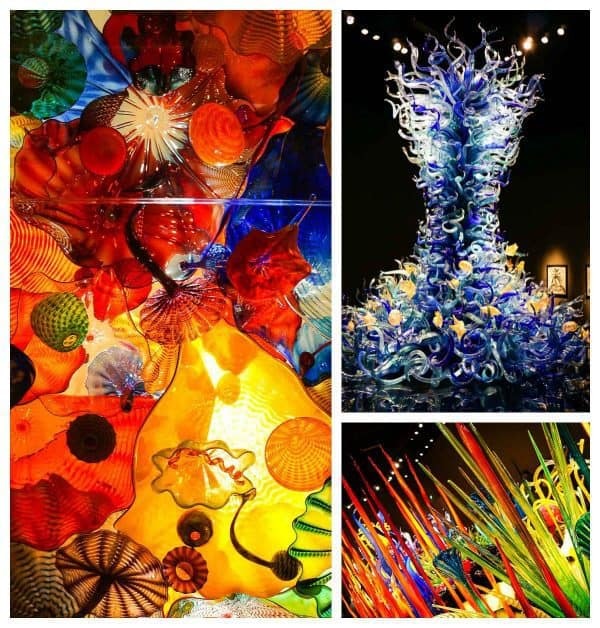 Chihuly Garden and Glass: The artist Chihuly’s iconic glass sculptures can be found all over the country. I’d seen and loved them in different places here and there, so it was really neat to see a larger grouping. Argosy Cruises Harbor Tour: A beautiful way to learn the city’s history and see it’s skyline. I loved seeing the view of the city from the water (it’s where we took all of the skyline photos in this post). We also caught a glimpse of Mt. Rainer in the distance, and the guide had fascinating Seattle history to share along the way. Seattle Aquarium: Very kid-friendly and a good place to learn more about the species native to the Seattle area, as well as the importance conservation efforts. Ben would have stayed and watched the otters play for the entire afternoon if I’d let him! Museum of Pop Culture: Your inner kid will have an excellent time here. The exhibits are a refreshing change from standard art museums and cover everything from comic books to horror films to punk music. Other attractions included in the City Pass that we did not visit: Woodland Park Zoo (alternative to the Museum of Pop Culture); Pacific Science Center (alternative to the Chihuly). Museum of Flight: We loved this museum. It covers everything from the Wright Brothers first flight at Kittyhawk, to the start of Boeing, to space travel. For history buffs, the museum includes original and replicas of fighter planes through a variety of combats. 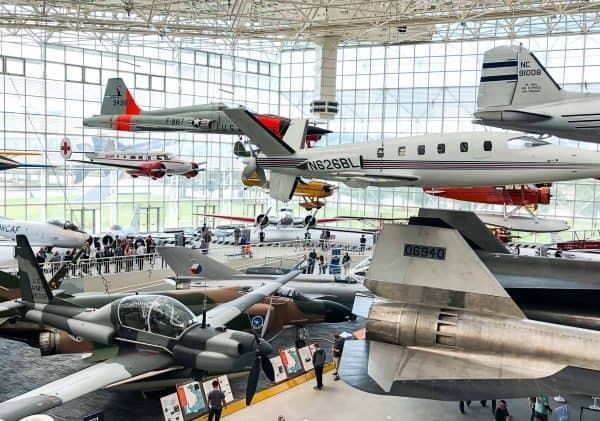 For kids and kids-at-heart, there’s also an entire wing of the museum with all kinds of real-deal planes that you can climb inside an explore, including cargo planes, jets, and even an Air Force One that was used in the 1950s and 1960s. 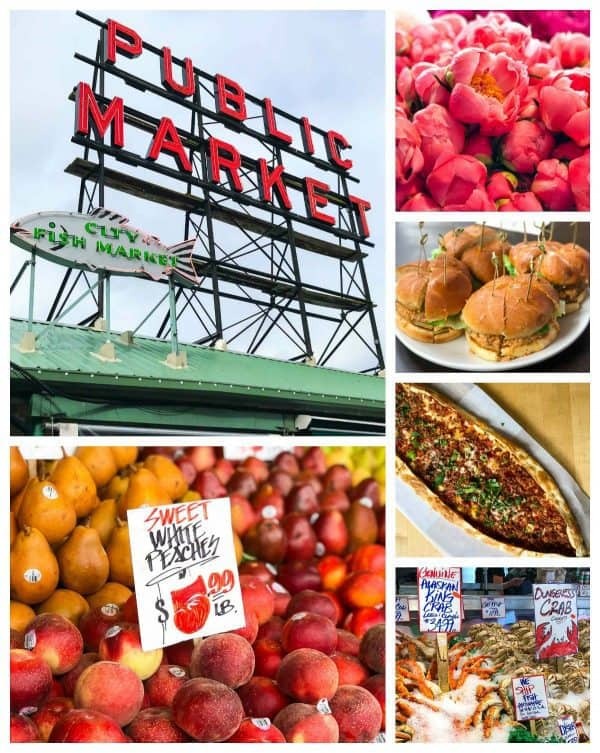 VIP Early Access Food Tour of Pike Place Market: Make sure you save some stomach space for a Savor Seattle Food Tour. Tour options include a wide variety of food and cocktail themes. We hit up the Early Access Pike Place Market Food Tour, which was an engaging way to see the bustling Pike Place Market in a less stressful way. Not only did I love every bite (our stops included a delicious array of cheese biscuits, bacon donuts, smoked salmon, Turkish flatbread, salmon burgers, and more), but our guide did a phenomenal job interweaving the history of the market too. Even if you don’t attend a food tour, be sure you set some time aside for the Pike Place Market. 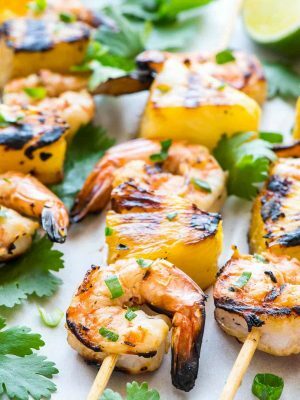 You’ll be enchanted by everything from the rows and rows of fresh flowers, to the most succulent fruit and veggies, to the fresh-off-the-boat seafood. Downtown Seattle: Home of the iconic Pike Place Market, chic department stores, historic buildings juxtaposed beside sleek skyscrapers, and fine dining. Ballard: Hip and on the waterfront. It’s packed with food spots, of which we tried Essex, Delancey, and Salt and Straw. We passed so many tasty-looking eating options, I feel like you can just wander, grab a drink at an enticing looking bar, and stay for a bite. It’s also a really fun area to browse boutiques. 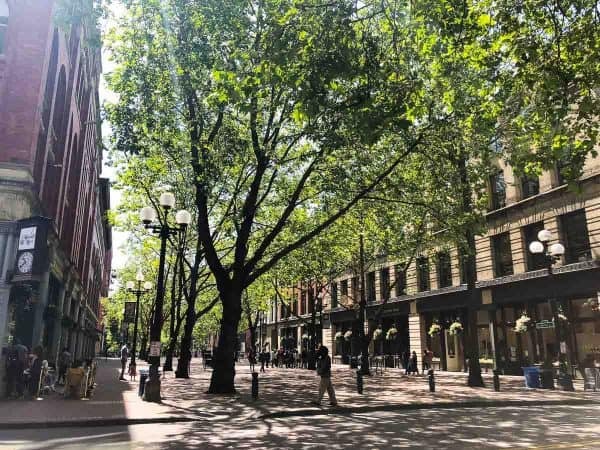 Pioneer Square: Seattle’s original downtown and its historic heart. Be sure to stop in for a glass of wine at Estates Wine Room. Queen Anne: Lower Queen Ann is home to many attractions, including the Chiluly Museum, Space Needle, and Pacific Science Center, while upper Queen Anne is a classic, beautiful residential area. Great restaurant options here too. You can also read more about other Seattle neighborhoods here. Thank you so much to partner restaurants and especially Visit Seattle for helping us plan our trip and hosting several of our meals and activities. We had an incredible time! I wasn’t obligated and didn’t receive compensation to write this post. All opinions are my own. I hope this guide will be helpful to you if you decide to visit Seattle too. Oh wow, we were there last September, but now I need to go back. We didn’t make it to any of the restaurants you did, but did eat at Andaluca, and it was one of the best meals we had. We did all of the activities you did except the VIP market tour and Museum of Flight. I’m glad to know there are reasons to return! SO MANY REASONS Kristin. And now I’m adding Andaluca to my own list!! Thank you Shawwna. I hope you get to go some day. It’s such a special place! Thanks for the insights, Erin. Planning a trip there the end of July, and can’t wait to check out your recommendations!! I am so glad this post is helpful Devin. Have an AMAZING time! Looks like you had a blast! My sous chef friend also told me Essex makes a top cocktail, so I trust your tips. I’ll try them next time I’m back in Seattle. Cheers Molly!! Essex is fabulous. I hope you have a great time! Awww…miss my Seattle days! Westward was right down the street from me and was a favorite spot for sure. You sure did fit a lot in on your trip! Liz, I would have LIVED at Westward! Such a great place! Okay now this is officially on my bucket list!!! This looks like such an awesome trip! I’m actually in the Seattle area occasionally for work, but never seem to get time to go down to the city (I’m up north). These all look like great spots, and it looks like you had pretty good weather too (I see sun!!). Great post and among all these places westward is my favorite. It’s restaurant menus covers are very well well designed.